Some of the biggest names from the hindi film industry were spotted at the Filmfare Awards Nominations 2011/2012 Night bash, held in Mumbai recently. Among the attendees at Filmfare Awards Nomination Night were Shahrukh Khan, Madhuri Dixit, Juhi Chawla, Kalki Koechlin, Asin, Dia Mirza, Ranbir Kapoor et al. Madhuri Dixit attended the event with her husband Dr Shriram Madhav Nene. 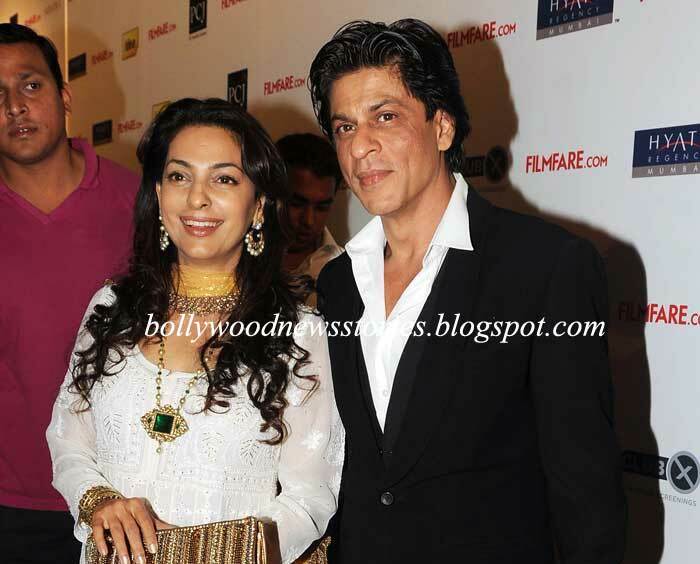 Shahrukh Khan wrote on twitter: "Oh wow!!! Had a great evening...juhi...madhuri...all such beautiful stars...and had a lovely time with Ram Nene...nice to meet my friends." 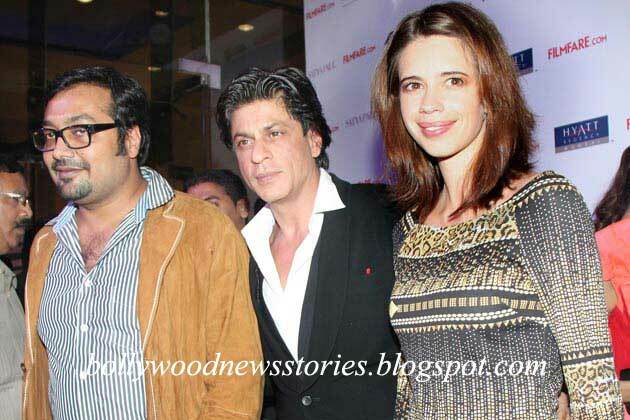 Jacky Bhagnani wrote: "Just got out from d filmfare party met @iamsrk its so nice to meet him again n again n again n also d evergreen madhuri dixit :)"
The Other bollywood celebs clicked at the event were Anurag Kashyap, Kalki Koechlin, Jimmy Shergill, Asin, Karan Johar, Farhan Akhtar, Chitrangada Singh and Jacky Bhagnani. Here are the Filmfare Awards Nomination Night Bash 2011/2012 pictures.